The garden plants were purchased on Friday at the Regional 7 Mother’s Day Plant Sale held by the Ag dept. and what a lovely group of plants I’ve gotten. They looked very happy and lush in the boxes on the deck this morning. It’s a bit earlier than I would normally get some of the plants, but last year I waited until the following week and the selection was severely thinned out. It’s a wonderful sale and the turnout is fantastic. I vowed not to make that mistake again! The temp this morning was 64F when I got up at 5:50am so I think that with the possible exception of one or two days of chilly weather we might just have shed the unseasonably cool temps for a bit. 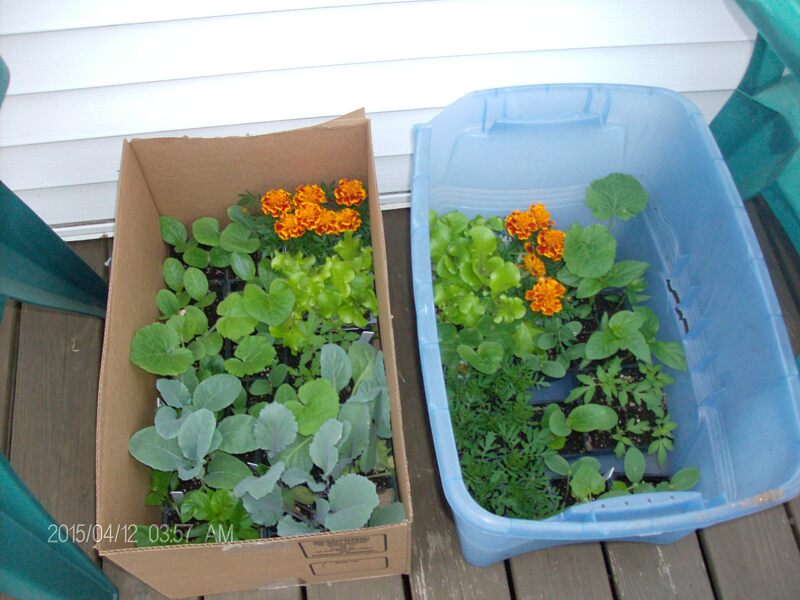 I hope to get the lettuce into the window boxes and the some seeds planted in the front flower bed today. I still have to get my hay bales and a load of manure for the vegetable garden before the serious planting begins, but I hope to be finished before Memorial Day weekend this year so that I can truly enjoy that time with friends. 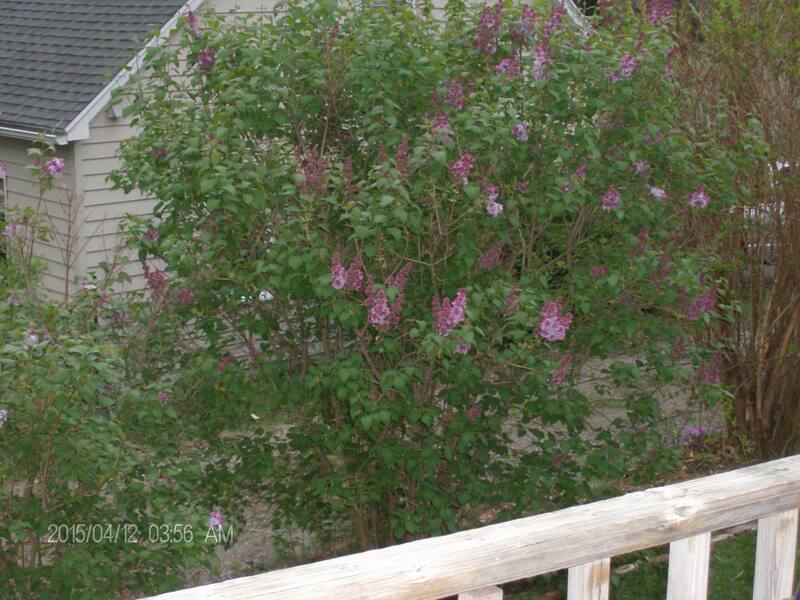 The lilacs are just starting to pop and I occasionally get a whiff of their amazing aroma . 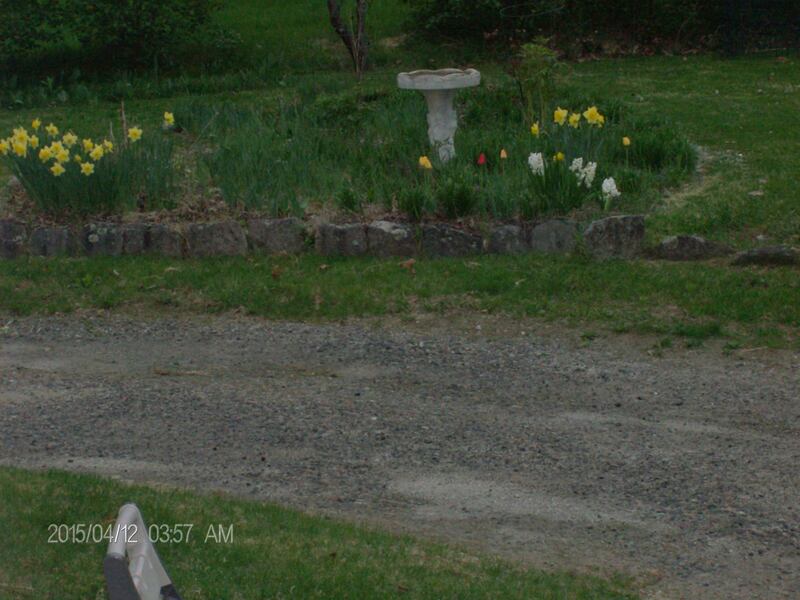 It’s a bit confusing to me that the maple trees are fully leafed and half of my tulips haven’t yet bloomed. My peonies are almost as tall as my tulips and one has buds on it already. There are tiny white flowers that come up in this flower bed that I haven’t the heart to remove until they are dead which slows down the mulching process, but all in all I’m very glad that it’s warm and that the yard is flourishing. I would sincerely like to wish all a very Happy Mother’s Day and I hope that you get to spend at least a portion of the day doing what you enjoy most.